Heya everyone! Hope you have all had a lovely week and have got a sense of normality back now after the festive season. I know I certainly have. My cousin is now back at Mauritius, my parents have started work properly, my brother has returned to college so it is just me at home on a daily basis applying for one job after the other and taking trips to the local shopping center handing in CVs and asking if there are any vacancies within the stores there. Even though my dream is to go into the tourism industry I will honestly take any job as of now just to build up my experience and so that I can have a little bit of income as well. Those of you who think it's so easy to 'go get a job' it really isn't! But before I ramble way to much (is it just me or are my intros becoming incredibly long lately) let's get onto the point of this post. A few days ago I headed out to Superdrug (a danger zone for me) in order to purchase the collection concealer. We already know that's not all I stepped out the store with. I bought a conditioning hair mask, cleansing oil and this cute little product which is the Baby Skin Instant Pore Eraser Primer. If you have been following my blog for a long time you will already know that I absolutely love the Baby Lips so when I spotted this I absolutely had to purchase it. The first thing I thought off when I saw this product was the fact that it will draw about a zillion comparisons to Benefit's Porefessional Primer which I have also recently purchased. Now the question you are all desperate to have answered. Do I like this primer? The answer is YES! I have never been a big user of primers. During 2013 the only primer I used was the Bourjois Happy Light primer which is one of the very few I was able to spot in the drugstore. Who knew good primers were that hard to find? However this primer is very good. I love how cute and eye catching the packaging is as it instantly grabs your attention when on the shelves which at the moment is evident in the shops as 90% of places have sold out! The aim of this primer is to smooth down the skin and the appearance of pores (like it says on the "tin'). I didn't actually think I would like this product due to the silicone/gel like formula. Normally I'm not a huge fan of products that have that type of consistency. I find that a little definitely goes a long way with this primer. I squeeze out just an amount slightly bigger than a pea and apply it all over my face and I love how it leaves the skin feeling velvety soft. It does however also make my skin feel just very slightly greasy due to the texture of the product but I can excuse that as it just does the job brilliantly. It also creates that sort of 'your skin, but better' affect and definitely reduces the appearance of pores which is the main reason people will purchase this product. I love how easy it is for foundation to be applied over the top of this. It just glides on and makes it easier to blend, however because of the velvety and oilier finish it leaves it doesn't leave the foundation on as long either however that can vary with what foundations your apply and whether or not you apply powder on over the top! Overall I love this primer, I find it does exactly what it says on the tin and because it makes the appearance of your skin look better I won't really mind just applying this on lazy days. I find this primer would probably work well for those who have normal/dry skin. I wouldn't really recommend it for people who have oilier skin as it will just increase the shine on your face. These cute little primers are available to purchase in Boots for £7.99 and because they have just been released they are super popular so if you would like to try this I'd head out there fast! Like I mentioned earlier in this post I have also bought and tried the POREfessional Primer from Benefit so make sure to hit that follow button on bloglovin' in order to be among the first to know my thoughts! 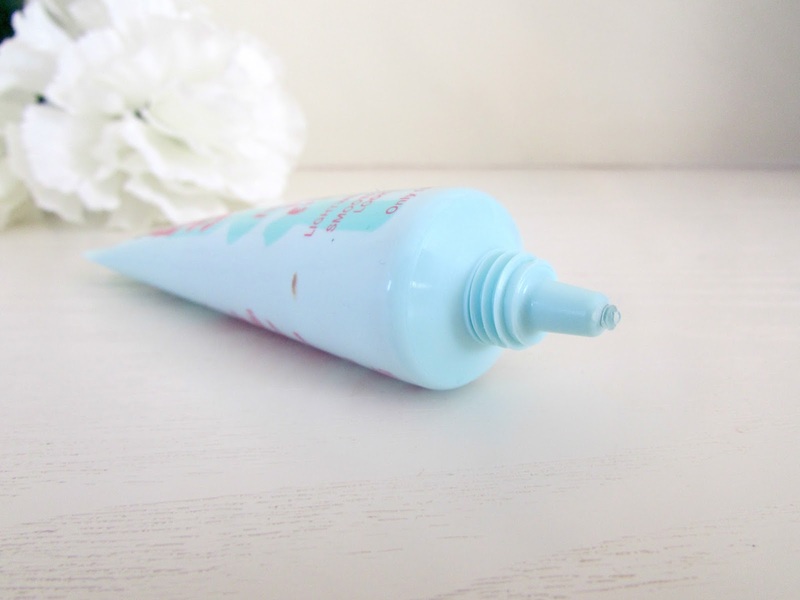 Have you tried this primer yet or even tried the POREfessional Primer from Benefit? Which one would you recommend more? Definitely!! :) you won't be able to resist the temptation anymore haha!